For many of us the closest we’re ever going to come to being a sports star is whatever the distance is from the television you’re watching it on, to the couch you’re sitting on. 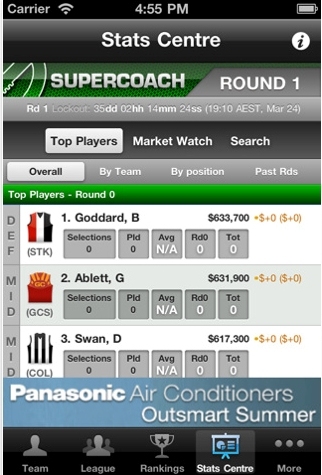 But that is all about to change with VaporMedia’s latest release – AFL Super Coach. Without question, Aussie Rules Football (AFL) is the largest sport in Australia & for those of you unfamiliar with the game itself, it’s basically two teams of burly Aussie men running back and forth on the largest sporting pitch you’re ever likely to see for 2 hours, tackling the living snot out of each other while kicking a red leather ball between four giant sticks either end of the field called ‘the goals’. It’s a contact sport that basically encompasses all the best bits of other games around the world. 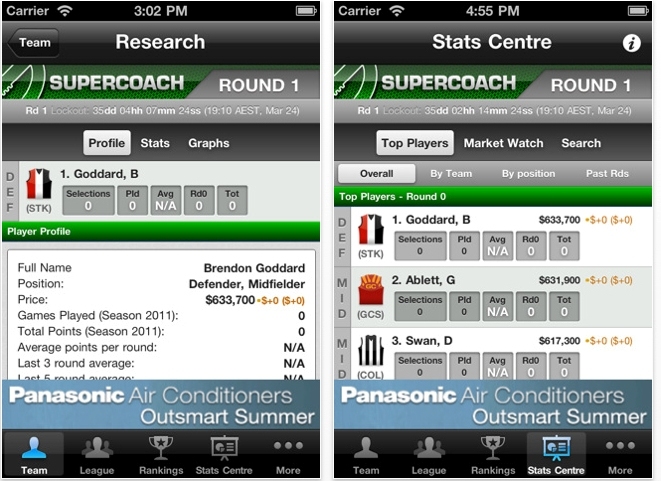 But even if you’ve never seen or played Aussie Rules Footy before, this latest app can still be highly enjoyable as it’s basically an online fantasy league. You don’t actually need to know too much about the game at all, which suits a noob like me just fine. 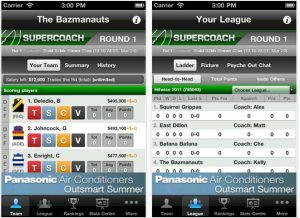 You are able to set up your own league with friends, family and or colleagues, choose your team of 22 players from the 17 elite teams in the Australian Football League & square off against your buddies! For football fanatics, this can take the better part of a month mobile casino to get your team finalized just right & this is one of the brilliant aspects of the app, those who want to immerse themselves as deep as they can in a fantasy football league online casino are given all the stats and options to do so, where as for the rest of us, we can just pick the players who have the coolest looking Guernsey. 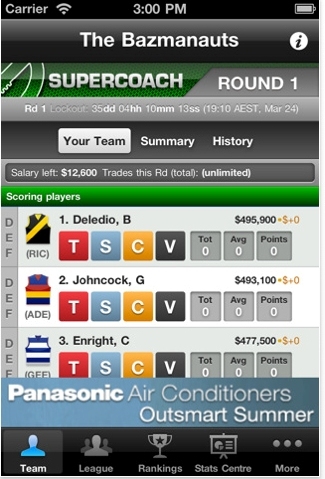 The layout of the app is fairly straight forward, you’re given an easy to navigate menu you can scroll through with a list of all the AFL players. All you need to do is select & place each one in their appropriate position. (Midfield, Forwards, Defenders & Ruck) until you have a full squad. But make sure you choose wisely, as you have a salary cap of ten million dollars, so you can’t just pack your squad with the most expensive (and usually the best) players in the league. After you select your team, chose a name and design a Guernsey, you are ready to play. 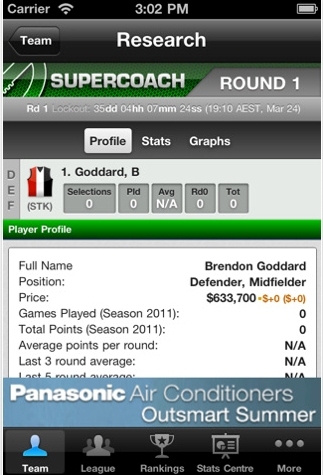 AFL Super Coach works on a points scoring system the coincides with how well your players perform in the actual season proper. If at the end of the weekends round you have scored a higher total than your opponent for the week, you win bragging rights come Monday morning around the coffee machine. What’s that I hear you say? 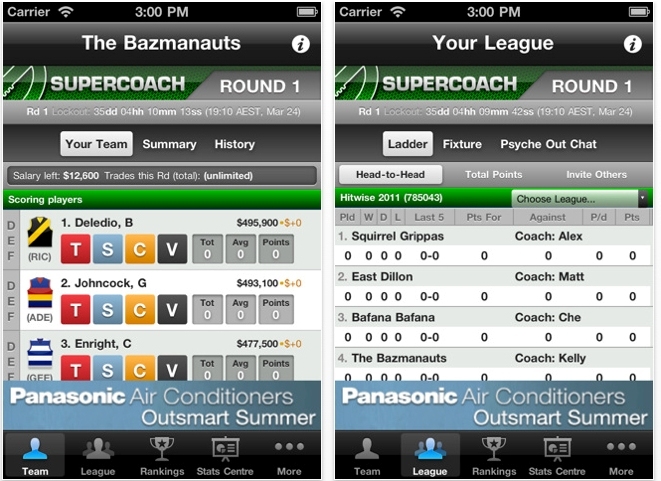 There’s no way you’ll be able to find 15 other people to start a league with… Well that’s ok too, as Super Coach puts you into a mixed league if you are unable to start one of your own, that way you can set about thrashing total strangers & let them know all about it on the ‘psyche out’ wall. Something that is sure to add a bit of spice to the Footy fan’s soup. The Wrap Up: There’s nothing fancy about this app at all, live updates of scores and stats really help bring it to life. 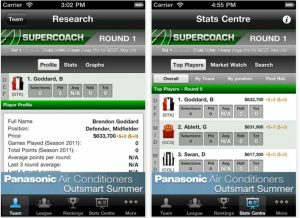 AFL Super Coach does exactly what it sets out to do, and that is deliver the perfect fantasy league for any sports fans or anybody that prefers stats and number crunching to being crunched on the footy field!